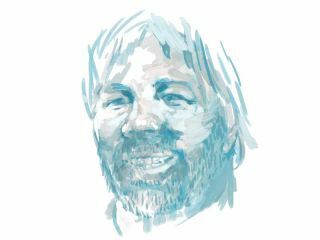 Steve Wozniak – or 'Woz' as he is affectionately known – is the cofounder of Apple and creator of the Apple II, one of the most successful, visible and earliest personal computers ever made. He's still technically an employee at Apple, but he's now best known for supporting and championing new technologies, either directly or through Acquicor, the company he co-founded with Apple alumni Gil Amelio and Ellen Hancock. Is the iPhone as important a device as the hype suggests? "Importance of a consumer electronics product is more related to its acceptance and sales as anything else. In addition to strong worldwide sales for such an advanced phone, the iPhone has been the biggest disruptor of the cell phone business in recent times. It sets the bar for features and user interface in a market where even the tiniest of advantages can spell success versus failure. The iPhone does not do everything, but what it does, it does superbly and is very easy to use – as sophisticated cell phones go – and leaves the user with a sense of satisfaction, of happiness. It is one of those products that you come to love as a part of yourself. You bet that's important." What will the iPhone's place in the market be in five years? "Consumer electronics markets can overturn in a shorter time than five years. I'm trying to remember if the Motorola RAZR has even been around five years. Since Steve Jobs's return, Apple has shown that it only wants to market products that will have a long life. iPhone is a brand now in addition to the brand 'Apple', and even if Apple comes out with much better or different approaches to cell phone-based tools, the label 'iPhone' would surely be used. It's not easy for any company, and not something they get a chance to do often, as to create such a strong brand." Which features is the iPhone missing, and which do you never use? "I have been a gadget collector and I like to find different approaches and features of many products, including cell phones. Hence, I have a long list of useful features that are left off the iPhone. But the ultimate selection must be done by one small group, preferably one person, to keep consistency. Otherwise bloat occurs and everyone remarks that it was designed by a committee and doesn't have one consistent look and feel. Based on this, I'm not sure I want any of these features I like in the iPhone without a lot of consideration and testing as to whether they belong in this unique product. "I have made extensive use of turbo dial and auto-answer (when on Bluetooth) with other phones. I have enjoyed the concept of profiles, whereby I can have different ringer settings when plugged in and different ones when using Bluetooth. I like fuller Bluetooth, as I have had such things as stereo Bluetooth headphones for some time. I like to access the file system of phones simply by plugging it into USB. I like to control computer programs with my phone, but this usually involves controlling it while in bed with my eyes shut, and that would not apply to the iPhone touchscreen. "I like BlackBerry-like scroll wheels with a select button. This is like having a keyboard in addition to a mouse. All the time I take movies with my cell phones. I carry spare batteries for cell phones and cameras; why not the iPhone? I have tethered my computer to my cell phones since the early analog cell phones. This puts my computer on the internet wherever I am. I consider the most valuable computer accessory of my life to be my Verizon card, which saves me in hotel after hotel and many other places, even on the road.